I recently got the opportunity to try a few sample items from MAKE. The beauty items in the lineup are developed to be user-friendly, offering a range of colors, textures, and finishes. The products are also paraben-free, and never tested on animals. What's really cool though is that a percentage of sales is donated to the We See Beauty Foundation, a non-profit that supports women-led cooperative businesses across America. 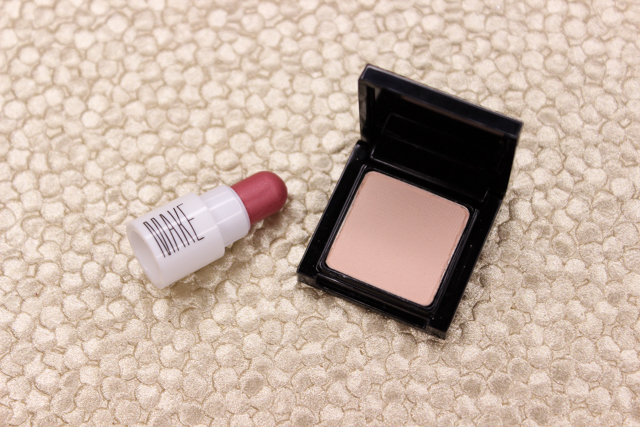 Let's take a closer look at MAKE's silk cream lipstick in Taffy, and matte finish eyeshadow in Alabaster. 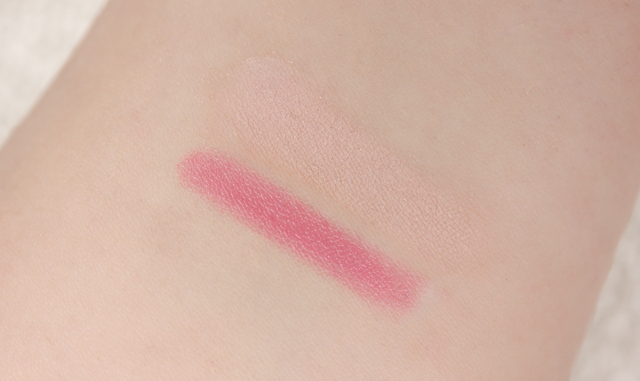 Silk Cream Lipstick in Taffy: Taffy is a rosy medium pink which contains a creamy finish and a subtle shine. This lipstick is infused with awesome ingredients like antioxidant vitamins, rosehip oil, and aloe and chamomile extracts to help condition lips. This lip color has a smooth texture that feels light and comfortable on lips. The color is very wearable, being that it's not too loud of a color. I don't find Taffy to be very long-lasting, though. But, I don't mind reapplying every now and then, since this lipstick fades nicely and doesn't cause product build-up on lips. Matte Finish Eyeshadow in Alabaster: This matte, peachy eggshell color is so lovely. Very pigmented, and the velvety soft texture is easy to apply and blend. This eyeshadow contains protective antioxidants like vitamins c and e, and it can be used wet or dry. Alabaster makes a great all over lid, and/or brow bone color. 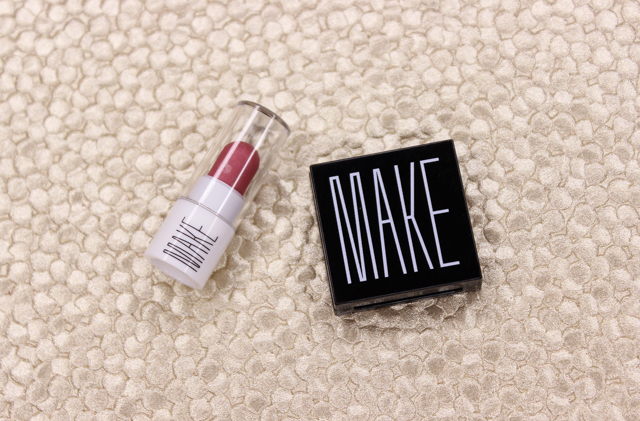 To check out more of MAKE's beauty products, make sure to head on over to their website. And if you happen to see something you love on the site, MAKE are offering a 20% discount (valid through 3/1-5/31), with the code, MAKEYOURSELF. What do you all think of MAKE beauty products? Which are your favorites? Disclaimer: This post has been powered by Brandbacker. For more information, please visit my disclosure page.